THE SECRET TO FARMVILLE: GROW WATERMELON! - What About Watermelon? You are here: Home / General / THE SECRET TO FARMVILLE: GROW WATERMELON! THE SECRET TO FARMVILLE: GROW WATERMELON! If you’ve ever wondered what it’s like to be a farmer, FarmVille is the game for you. Actually, playing FarmVille is nothing like being a real life farmer, which is very hard work, so that’s probably why millions of people love playing the game. 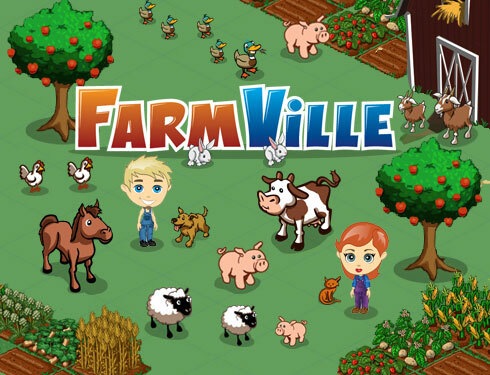 FarmVille is played by Facebook users and basically allows people to build their own tiny virtual farms and plant crops, grow, and sell crops (using FarmVille coins) in order to buy more farm land, farm animals and other farm decorations. It sounds simple, but it’s also extremely addictive. Just ask one member of the National Watermelon Promotion Board, who wishes to remain anonymous, but swears that out of all the crops you can grow in FarmVille, watermelon is the easiest and most profitable. “The great thing about FarmVille watermelons is that they’re really versatile plants in terms of how they advance you through the game. Although they take four days to mature (which is a big advantage if you’re going to be busy for a few days – they take care of themselves), you get two experience points for each square you harvest, so they help you to level up more quickly. I have to admit, I’ve never played FarmVille, but I know a lot of people who have. I’m a little scared to play it because I get addicted to things very easily and I’m afraid that once I get started, I’ll be planting watermelon, corn, carrots, and turnips until the cows comes home (and beyond)!